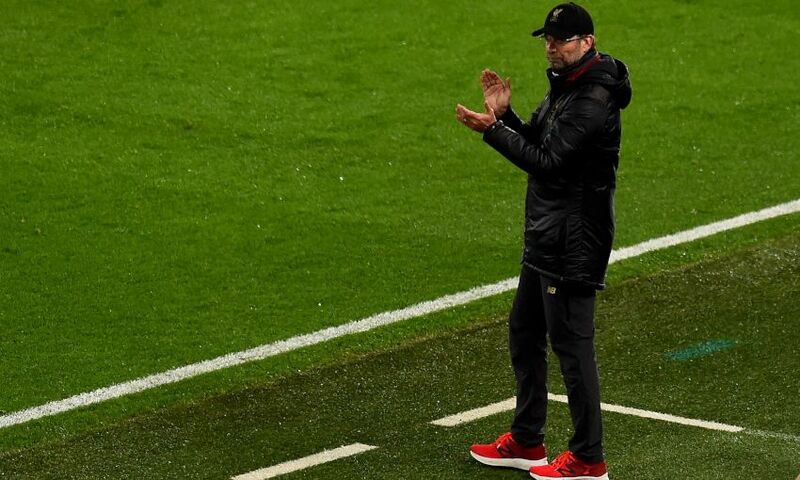 Jürgen Klopp believes Liverpool can work with the 0-0 result they were held to by Bayern Munich in the first leg of their Champions League showdown. 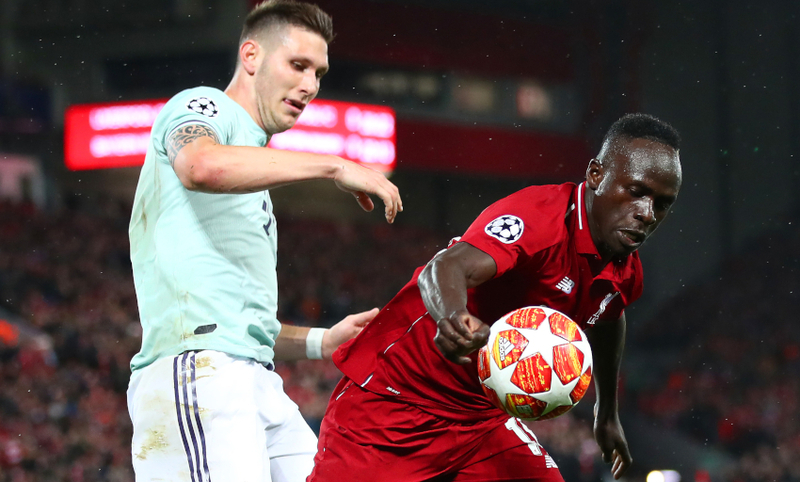 The last-16 tie is finely poised for the return game in Germany next month after an intriguing but goalless tussle between the Reds and the Bundesliga title-holders at Anfield on Tuesday night. Klopp’s team created the better chances across the opening 90 minutes of the affair but found no way through and so everything is to play for when they meet again at the Allianz Arena in three weeks. It’s not the result or the game we dreamed of. Not really a lot of things happened in the game but it was an intense one. You saw the respect both teams had for each other. A lot of situations I didn’t see in all the games when we watched Munich, to be honest – like how the full-backs stayed in their own half protecting, how Gnabry defended on the wing in two-v-one situations, and stuff like that. There was a lot of respect involved in the game and that made life uncomfortable. But in the first half we still had chances; if Sadio hits the ball a bit better, he strikes twice with a bicycle kick, which is obviously pretty rare. How it always is, a goal would have changed the game. It was like it was. The first half was still absolutely OK, we created. In the second half nobody created anymore. Our problem tonight was, on one hand the quality of the opponent of course, but on the other hand our last pass was not our friend. We had 10 or 12 situations where everything was prepared, everything was on a plate, and then we played a very average last pass or gave it away. That caused us two problems; one, we didn’t create a chance, and on the other hand we gave them the ball and they had a counter-attack, which made the game even more intense. But how it is in situations like that, I’m pretty sure at the moment Bayern feel a bit better than we do but we have three weeks, and day by day the result will feel a bit better for us and a bit worse for Bayern. It’s 0-0, the best draw you can get. It will be a tough one again to play at Bayern. If we win 1-0 tonight, what would have changed really? Then a 0-0 is enough as well, or we draw 1-1 – but that’s now enough as well. So it’s not perfect but good enough to work with. The 10-day break? What does the final pass have to do with that? You have to look at the game and think about the game, and not prepare a question because we had a 10-day break. I have no clue why we didn’t play the last pass. The sharpness has nothing to do with the last pass, it’s about being in the moment, doing the right steps. You saw the situations, it had nothing to do with 10 days’ [break]. We cannot change it, we had the 10-day break and now we will not have any break anymore, now we play through – and if it was a problem tonight then we will not have that problem anymore because now we play every three days. Now we have to recover and then we have to prepare for Manchester United – and they are obviously in good shape, which we all saw yesterday [against Chelsea]. I don’t think about it now, but I know it will come and now we start preparing that game. It’s another tough one and that’s how football is at a top club – we played Bayern tonight and then Man United at the weekend, that’s cool actually, but it will not be easy of course. I would be really silly if I would have seen weaknesses and then I would say now, ‘Yes, they have problems at home.’ They don’t have problems. We will see who is fit that night; for us that’s important and for them important. Bayern had a couple of problems tonight, Goretzka I am pretty sure will play in that game and then maybe Arjen Robben is fit, so that can make a big difference with his experience. Maybe Ribery starts. There are a lot of things that can change, but we will get a player back at least [Virgil van Dijk] and we can play better than we did tonight. This game is not decided. I don’t think there is any weak team – and for sure no team who are at home are weak. Bayern are not. It’s not decided. What we wanted tonight was to get a result that we can work with – and we can work with that result. As I said, it’s not decided and we still feel like we are properly in the competition, but we have to show that in three weeks.